I just finalized what I believe is the simplest possible way to extract a Google Cloud Platform Inventory (GCP). Unfortunately GCP does not support triggers for functions as Amazon Web Services (AWS) does with Lambdas so we are (at least for now) forced to use cron. Google Customer Support did issue a feature request and hopefully they will deliver at some point a truly serverless scheduler for Cloud Functions. When GCP supports triggers the code should be almost ready as it uses nodejs. BTW working with async/await makes nodejs really attractive for OS related tasks (read DevOps). args: "--web-port 8080 --web-host 0.0.0.0"
At this point http://localhost:8080 should list the available streams and the log traces coming in from them. Just refresh your browser and wait till the streams show up again. 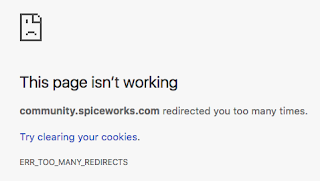 If you have other accounts to close you will need to kill your cookies for the domain because you will be redirected otherwise to the above page. The good news is that it worked. Let's keep this simple. 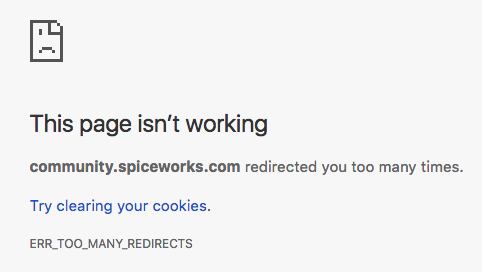 I will consider a Spiceworks installation that defaults to sqlite3. It is amazing how much this can handle BTW. It gets slow but man, I saw recently over 1GB of sqlite data handled by a SpiceWorks installation. Well, I did know sqlite rocks and not just in mobile devices. Expedite: There is no workaround. There is a tangible impact to the business bottom line. Standard: First In First Out. There is a workaround. It impacts the business bottom line. Software generating CSV should include the byte order mark (BOM) at the start of the text stream. If this byte is missing programs like Excel won't know the encoding and functionality like just double clicking the file to open it with Microsoft Excel won't work as expected in Windows neither MAC. This command inserts the UTF-4 BOM if not present. Therefore it is an idempotent command.